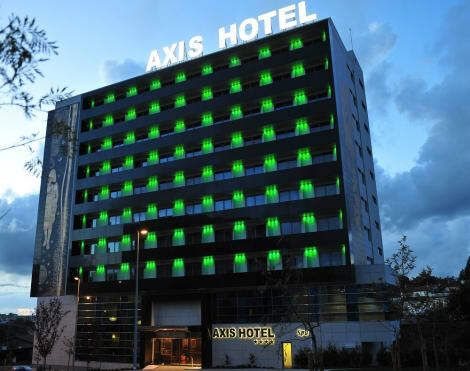 This four storey hotel offers air-conditioned units equipped with amenities such as LCD cable TV and Sports TV, bathroom necessities and en-suite bathrooms. Free WiFi Internet is available throughout the common areas of the hotel. The hotel offers breakfast. There are various dining options in the vicinity. With a stay at NH Collection Porto Batalha, you'll be centrally located in Porto, within a 10-minute walk of Porto Coliseum and Porto Cathedral. 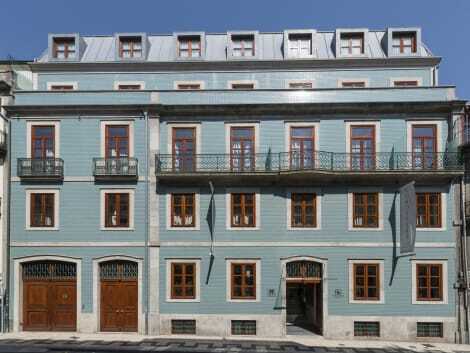 This 4-star hotel is 0.4 mi (0.7 km) from Aliados Square and 1.5 mi (2.4 km) from Museum of Port Wine. Centrally located in Porto, this charming hotel offers a 24-hour front desk and a rich breakfast prepared with local ingredients. Free WiFi is available in all areas. 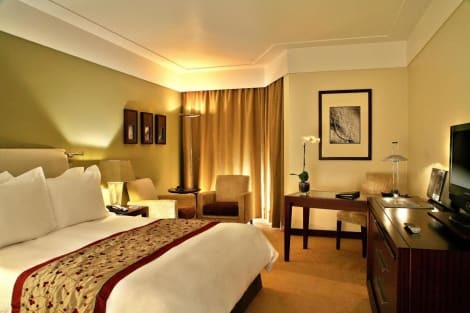 The rooms at Hotel Mira D'Aire are decorated with dark wooden furnishings and are fully air conditioned. They include a tea/coffee maker, a work desk and a private bathroom. A breakfast buffet is served daily at the hotel. The friendly staff at Mira D'Aire can offer advice on local activities. After a day of exploring the area, guests can enjoy a refreshing drink at the bar. 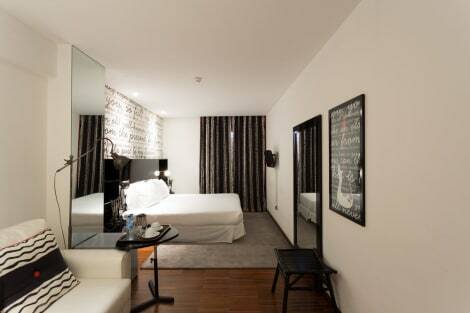 Bicycle rental and laundry services are among the convenient facilities offered by the Hotel Mira. 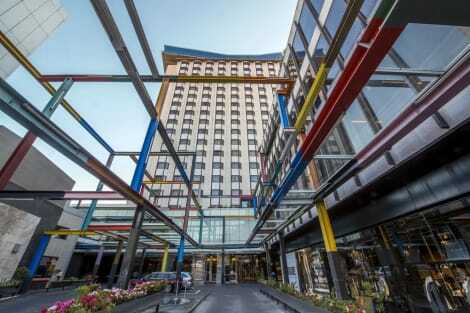 Lapa Metro Station is located just a few minutes’ walk from the hotel. Relax at the full-service spa, where you can enjoy massages, body treatments, and facials. If you're looking for recreational opportunities, you'll find an indoor pool and a sauna. Additional features at this hotel include complimentary wireless Internet access, concierge services, and a television in a common area. A stay at Porto Trindade Hotel places you in the heart of Porto, within a 10-minute walk of Porto City Hall and Bolhao Market. 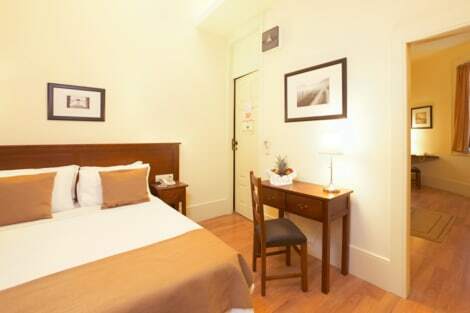 This 4-star hotel is 0.8 mi (1.3 km) from Porto Cathedral and 1.2 mi (2 km) from Ribeira Square. Grab a bite at Gosho, one of the hotel's 4 restaurants, or stay in and take advantage of the 24-hour room service. Relax with a refreshing drink at one of the 2 bars/lounges. Buffet breakfasts are available daily from 7 AM to 10:30 AM for a fee. For lunch or dinner, stop by Jardim de Inverno, a restaurant that specializes in fusion cuisine. Dining is also available at the coffee shop/café, and 24-hour room service is provided. Unwind at the end of the day with a drink at the bar/lounge or the poolside bar. Buffet breakfasts are available daily from 7:00 AM to 10:30 AM for a fee. Situated along the Douro river estuary in Northern Portugal, the picturesque city of Porto is the country's second largest after Lisbon and one of Europe's oldest centres. Its historical heart was declared a World Heritage Site by UNESCO in 1996. The city's layers of history are very evident from Porto hotels, especially in the Ribiera district. There are Roman ruins beneath the foundations on many streets, as Porto was an outpost of the Roman Empire called Portus Cale. Medieval relics, beautiful baroque churches and beaux-art vintage architecture compete for your attention along narrow colourful streets and alleyways. The city is of course the birthplace of port and so is a centre of pilgrimage for wine enthusiasts. In the 14th and 15th centuries, the shipyards here produced vessels that were central to the Portugese Age of Discovery, a period famous for its feats of navigation and exploration. It is from these times that the nickname given to Porto residents comes: tripeiros or ‘tripe people'. At the time of the great voyages, higher quality cuts of meat left with the sailors, leaving the off-cuts such as tripe for the citizens! Spanning the Douro River is Ponte de Dom Luis I, the soaring bridge created by a student of Gustave Eiffel. While the lower deck conveys the city's traffic, the top deck is now exclusively for pedestrians and a single Metro line. From here the views of Porto's Old Town and beyond are stunning. On the other side of the great bridge you can discover Vila Nova de Gaia and its fascinating port-wine tradition. Covering the steep riverbanks are scores of port bottlers and exporters, many dating back to the 18th century. Their terracotta-topped ‘lodges' or warehouses are spectacularly lit up at night, and a number are open to visitors. Stroll along the waterside promenade here to drink in the atmosphere and gain idyllic views of Porto across the water. For a dramatically different experience, visit the Museum of Contemporary Art back in the city. Cutting-edge exhibitions are housed in its impressive white minimalist spaces, plus there's an elegant Art Deco mansion too. Both these museums and their extensive post-60s collections are in Parque de Serralves. Culinary delights await you in Porto. This is a city that effortlessly balances tradition and the cutting edge, and that's reflected in the fine food you will encounter. Right on the waterfront is Casa de Pasto da Palmeira where you can enjoy a superb selection of ever changing small dishes in colourful, intimate surroundings. Deep in the labyrinth of alleys up from the Old Town, discover Miss'Opo. With shabby chic ambiance and fantastic food miraculously created in a tiny kitchen, you might need to book, especially at weekends. Near the city lighthouse is Boa Nova Tea House, designed by a famous local architect in 1963. Perched high above the sea on its Cliffside plot, this low-rise minimal white building is surrounded by huge boulders, and features a peaceful, elegant wood and stone interior.